The Z-E3715 is a smart touchscreen multimedia navigation system for the Fiat Ducato, Citroën Jumper and Peugeot Boxer. The Z-E3715 is a smart touchscreen multimedia navigation system for the Fiat Ducato, Citroën Jumper and Peugeot Boxer. ZENEC’s E>GO blends seamlessly into the original style of the Ducato cockpit, from its classic design to multicolor button illumination – including Fiat-specific amber. You can choose between different vehicle profiles and optimally adjust the device to the vehicle. You can effectively plan your route by entering vehicle-specific data such as height, width, length, and weight. Detailed information about camping and caravan sites throughout Europe is supplied by the POI package preinstalled on ZENEC‘s Z-E3715. 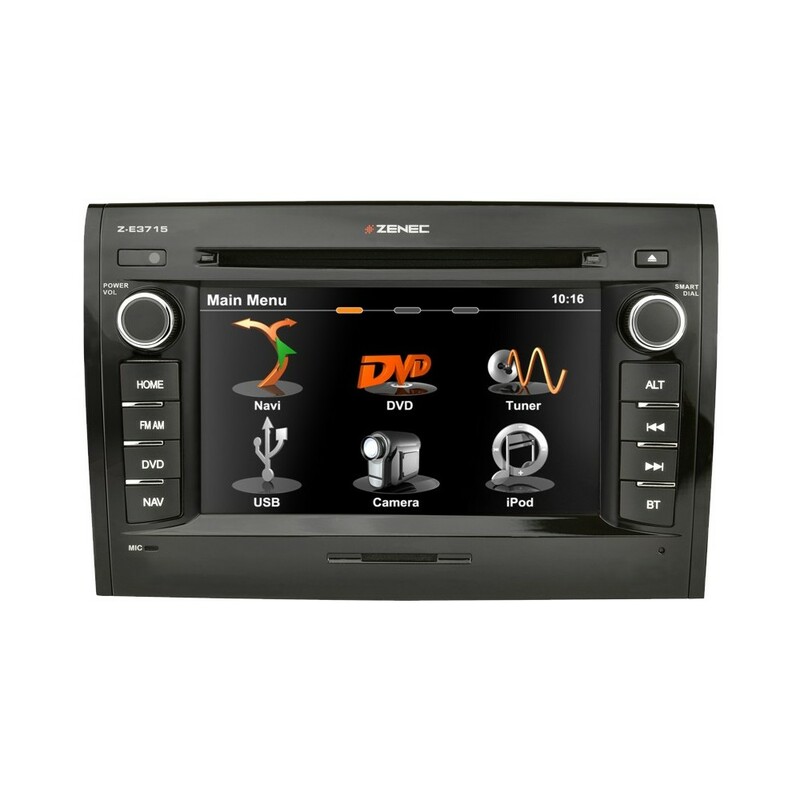 Entertainment from CD/DVD, via USB, iPod/iPhone or Windows/Android smartphones – the Z-E3715 is perfectly equipped to handle various multimedia files and formats. ZENEC’s naviceiver is equipped with a hands-free kit from Parrot, which imports your contact list with no fuss. You can even control call functions and dial contacts directly via voice command. The vehicle needs to feature OE radio provision for the installation of the device. The Z-E3715 is not compatible with vehicles that are factory fitted with an OE radio (Delphi). Trip computer: configurable display of three additional pieces of information, with the choice of arrival time, journey time, speed, direction, height above sea level, etc. Good afternoon sorry it would not fit your car as it states it`s for a Fiat Ducato, Citron Jumper and Peugeot Boxer navigation upgrade only. hi there this machine can work with steering controls and it doesnt have DAB, however you can adapt it to take a DAB add on.